Located on a QUIET crescent, NESTLED in the ESTATE SIDE of Riverbed, steps away from the CARBURN PARK paths & a playground, this beautiful, 3 bedroom, updated throughout, home is full of charm & character, with central AC, brand new stainless steel appliances, vaulted ceilings, tiger wood bamboo hardwood, doubled sided wood burning fireplace, new vinyl fencing, RV parking pad off of the paved back ally & so much more!! With it's traditional floorpan, it allows for plenty of living and entertaining space, a separate formal living & dining room, an open kitchen overlooking the family room that walks out to the large deck and a beautifully landscaped yard, a large master bedroom with a large walk in closet, a full ensuite, mountain views & a stunning accent wall with 100 YEAR OLD RECLAIMED WOOD from barn in southern Alberta!! 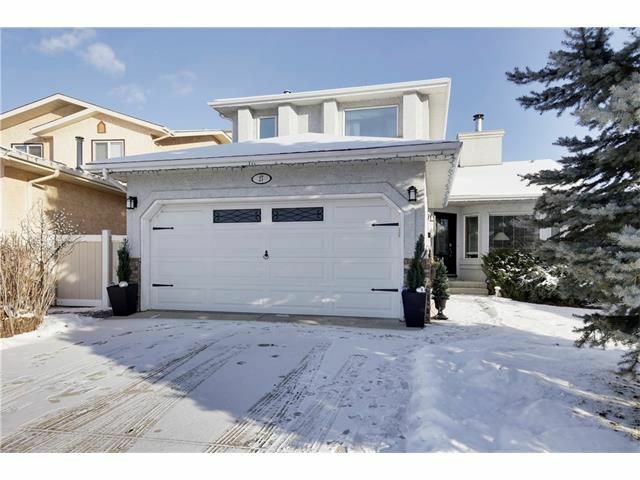 The lower level, while finished with a massive rec room & a corner gas fireplace, still has plenty of room to complete with a full bath & a fourth bedroom! OPEN HOUSE SAT Feb 18th 1-3!! One of Avenue Magazines Top 10 Communities in Calgary, Riverbend is a residential oasis bordering the east side of the Bow River. Those who call this southeast neighbourhood home find themselves immersed in nature inside the city limits with many parks and pathways to explore. Places like Carburn Park offer refuge with two fishable ponds, diverse plant life and a wide variety of bird species. For the kids, boating, fishing, hikes on nature trails and skating in the wintertime. And, if that’s not enough, for its four-legged residents, a short walk across the Bow via a pedestrian bridge takes you to Sue Higgins Park, the largest fenced off-leash area in the city.